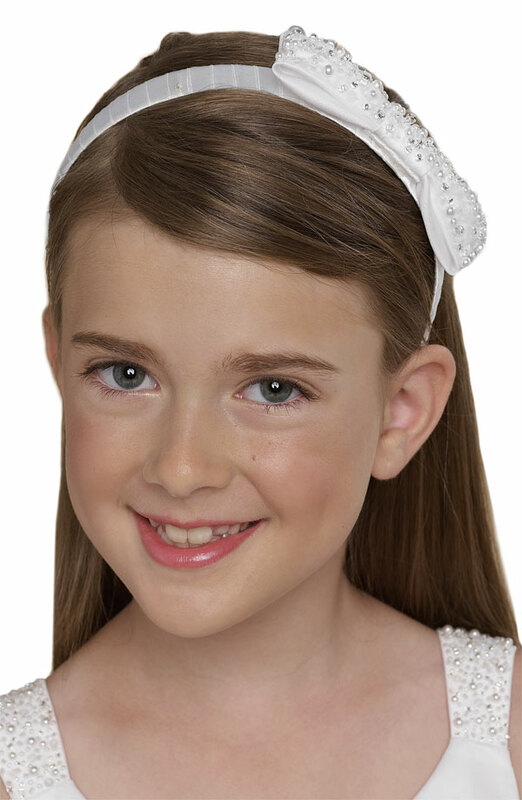 Satin-wrapped headband is topped with a beaded bow for a sparkling finish. Ribbon/plastic. By Us Angels; imported. Kids' Wear.